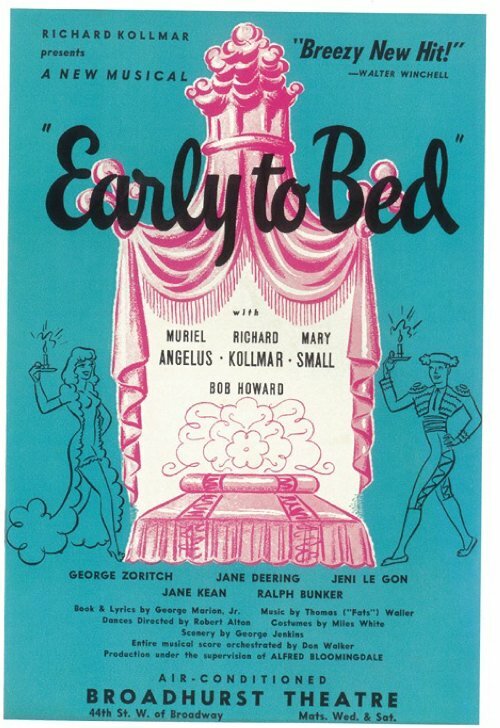 Mary is farthest to the left in the photo above as she starred in Early To Bed on Broadway in 1943. Here is the Broadhurst Theater as it appeared in the 1950’s. It is now run by the Schubert organization. George H. Broadhurst, the Anglo-American manager and playwright (1866-1952), built his eponymous theatre in association with the Shubert brothers. Broadhurst had previously managed theatres in Milwaukee, Baltimore, and San Francisco (and written many popular plays). The playhouse has remained one of the Shubert Organization’s most consistently booked theatres. These two articles paint a good picture of Mary’s work in the nightclub scene which corresponded with her work on TV. 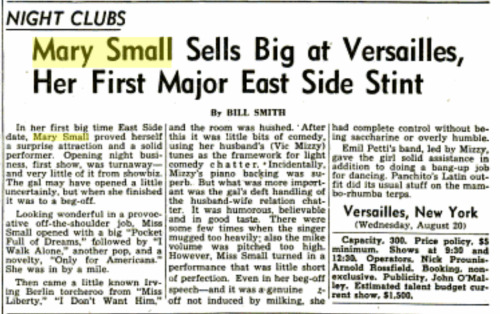 Above: Pittsburgh Post Gazette, October 17, 1949 – This article that led me to find this Women’s Home Companion Article by Mary.